In this article, we’re going to be discussing the top 12 Mac OS audio interfaces in 2019. We felt that we really had to create this article, reviewing all of these audio interfaces suitable for Mac, as there seems to be minimal information on the topic, in a condensed, easy to read format! All of this information is nicely condensed and summed up in the table directly below, but for you guys who want all of the information and videos to watch the audio interface in action, keep reading! So let’s get to it, what are the best 12 audio interfaces for Mac OS in 2019? Being an Amazon Best Seller, it’s clear that this audio interface is a fantastic prospect for beginners looking for their 1st audio interface. 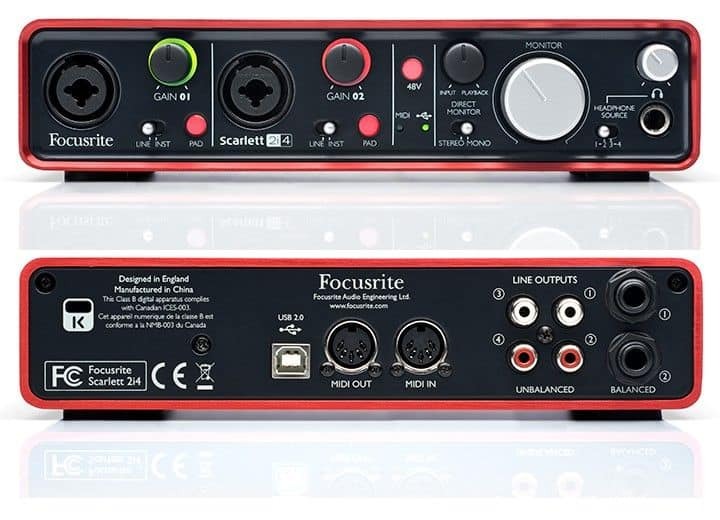 Looking into the specifications of this audio interface, it’s clear why it’s so popular, especially considering the inexpensive price. 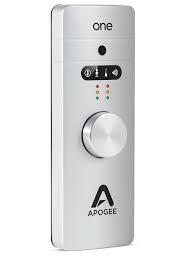 Not to mention, this device has a Truly Incredible in-built microphone, one that has turned heads and converted some of the Neumann & SHURE Audio fanatics to using the Apogee One’s built-in microphone instead. 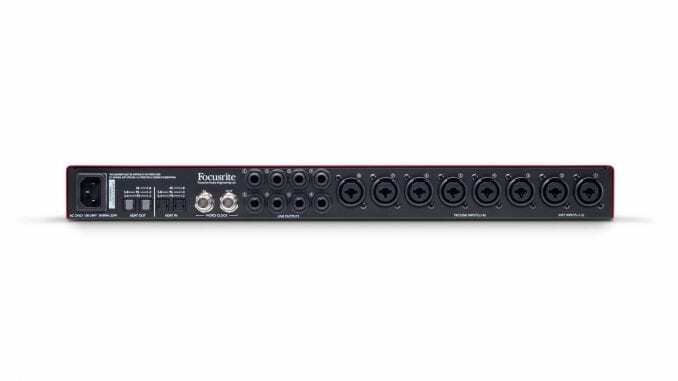 Incredibly compact and durable audio interface with full colour LED display for input and output levels, grouping, phase, muting and phantom power. 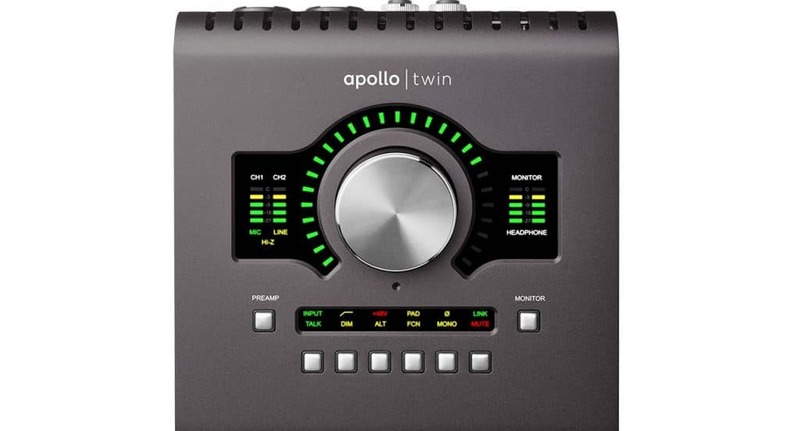 The Apogee Duet is the Apple MacBook Pro of the Audio Interface industry, it’s sleek design is highly attractive, very durable and extremely portable for the professional musician who wants a device that provides high-quality recordings in the studio and whilst on the road. 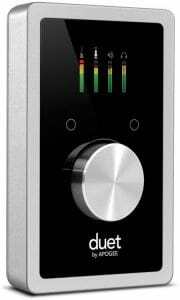 The Apogee Duet is the perfect audio interface for anyone looking for more inputs/outputs than the Apogee One, and whilst it doesn’t feature the same in-built microphone that the Apogee One has, it has legendary status microphone pre-amps and internal circuitry, for that high-quality sound. S/PDIF can be used for a single optical input socket, or for up to 8 channels of digital audio via ADAT format. 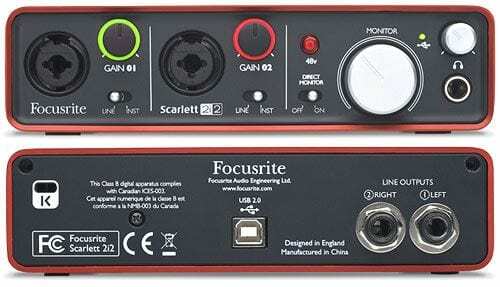 A device for someone looking for a compact, high-quality audio interface with Thunderbolt connectivity, alongside 6 outputs. 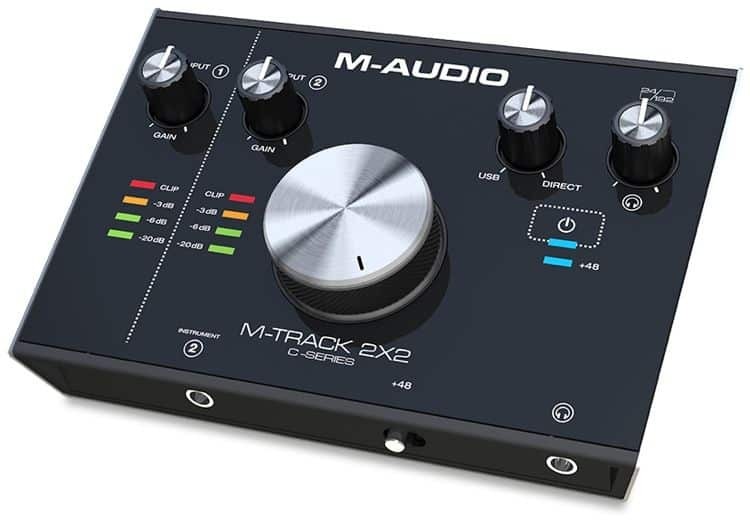 If you happen to have a setup where the singer is separated from the engineer i.e in a recording booth, this is the ideal audio interface with it featuring a talkback microphone for direct contact. 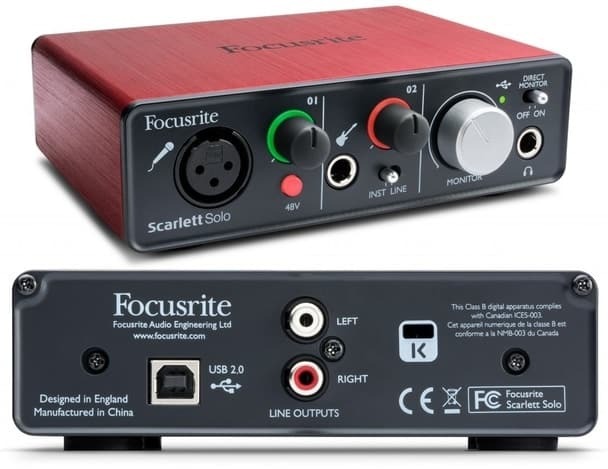 Before commenting on this, I actually own the Focusrite Scarlett Octopre MKII which is a former model… So what can I say about it, well I love it! 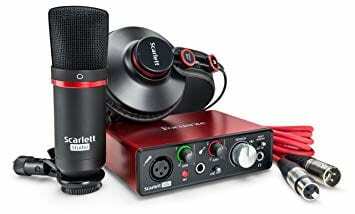 It was rather inexpensive for the price, and the quality of the recordings it provides is superior to other interfaces of the same price budget. As you can see from the video demonstration below, the interface provides a fantastic audio recording quality! 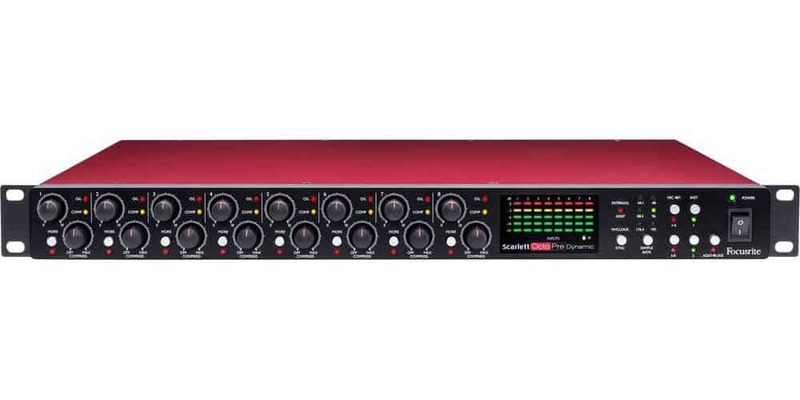 This interface is in the same series as the Tascam US-16×08 interface, except it provides more inputs and outputs, making it suitable for an engineer/musician who requires this. 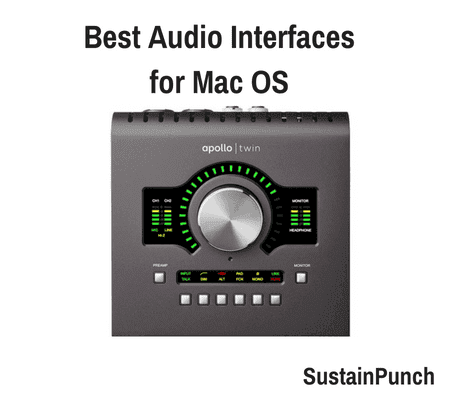 We really hope that you’ve found our article on the Best Audio Interfaces for Mac both interesting and useful! 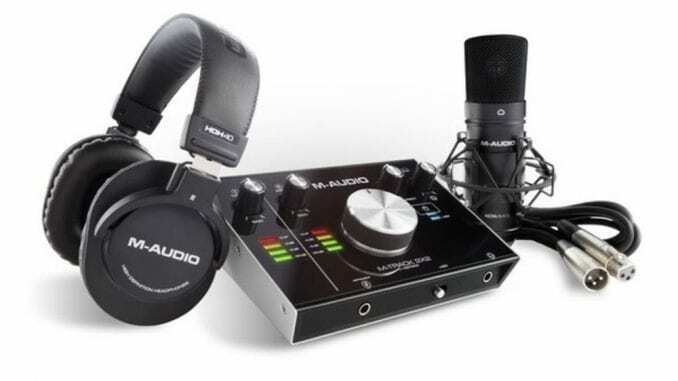 You may also like to read the following articles which are also about audio interfaces.